Our team of Specialized Women’s Health experts help you understand, manage and in some cases eliminate pelvic pain, incontinence, prolapse, back pain and other joint and muscular issues during pregnancy, and post partum pelvic floor insufficiency. Physical therapy has been successful in helping many types of sexual dysfunction including vaginismus, dyspareunia, tension myalgia, vulvodynia, and pudendal neuralgia. 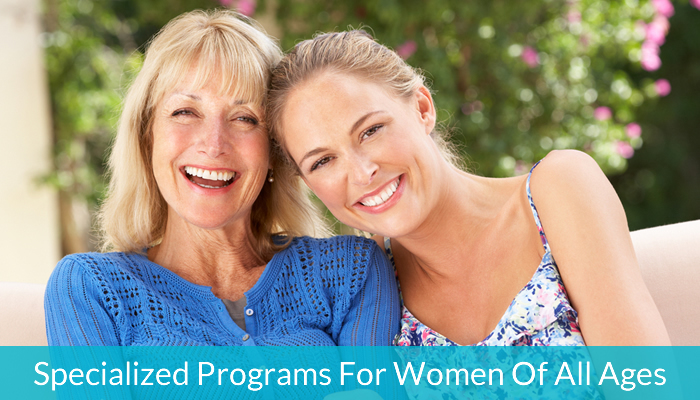 Beginning with a complete evaluation, our Specialized Women’s Health therapist will design a treatment program that will specifically address your individual needs including but not limited to education about your condition, manual therapy, therapeutic exercise, and electrical stimulation therapy. Our Specialized experts will sit down with you to develop a treatment therapy that will help you overcome your discomfort. Sign up today for a FREE Pain Evaluation today!